I am so doing this - painting my kitchen door gray. Doesn't it just make this kitchen? try to imagine it white...just not the same. Love this idea! 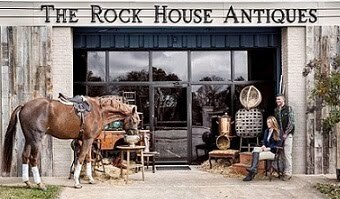 We have an old wood door coming in from our patio, and I have been wondering what to paint it for quite awhile!!! Great choice! I love that kitchen! 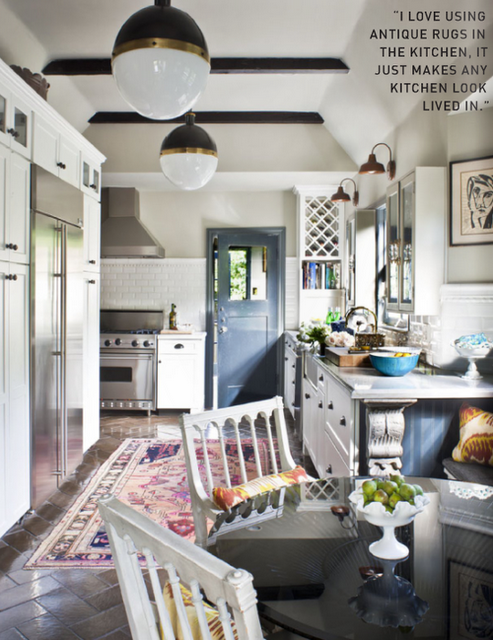 The grey door looks gorgeous and how fantastic is that rug! Ahhhh! I love the door and basically the entire room! Makes me want to paint my cabinets. There is so much depth to this room. I say go for it! Oh I think it will be great! Donna, do it! Because of a couple of posts from others about black doors I painted ours black from white....LOVE IT! You're going to love the diffence it makes.I can't wait to see! Yes - that door definitely anchors the space. I'm sure it will look fabulous- hopefully you'll take a shot! I'm also really loving this trend of rugs in the kitchen. Feels so cozy and well worn! yes, yes, yes. if afterward your not loving it, try another til you find the perfect color fit. i do have to say i love this color. 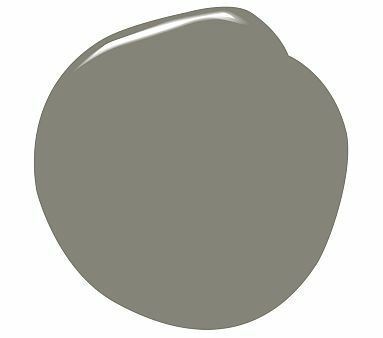 we have still not painted the floors in the cabin (trying to match the jcrew bag), but i think i might be in deep like with this color. this made me think if i had a door i could paint, and i remembered that i already did! the inside of my front door is gray. it's lovely, esp since the front entry opens up to the great room. white would have been so predictable. 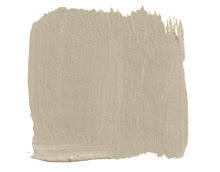 Laughing, I have a paint swatch taped to the bureau I want to paint gray. I love this shade of gray! Not too cold and not too warm! I think grey doors are wonderful! I actually painted mine for Christmas a shade of gray! But I don't think the light is right for the color I chose! Oh well! I can't wait to see the end result! Absolutely do it. Completely changes the space. Adds an architectural feeling or more importance to the door similar to painting it black, which I love as well. Chelsea gray looks perfect. Love your choice here, Donna. I love her home. You have to!! I just did it and it MADE the kitchen!!! Please show us before and after pictures! Just do it! This weekend! definitely do it!! by chance do you know the source on the lanterns? Great idea!I agree..Do it! 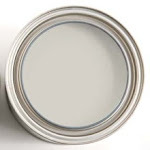 :)this would be completely gorgeous..not that i love the shade of gray...i think Chelsea gray looks perfect for this i just love it..thrilled to see the before and after project.Have a nice weekend.Love your Blog. Yes it really does make the room. It anchors it perfectly and I can't wait to see your very own grey kitchen door. Good luck! One of my favorite grays!!! YES! Absolutely true Donna. And boy, what a door and color it is. I love your blog. Just found it today. I never knew there was so much beautiful gray in the world! Love it!!! How could *you not* have a gray french door?! It would be perfect! 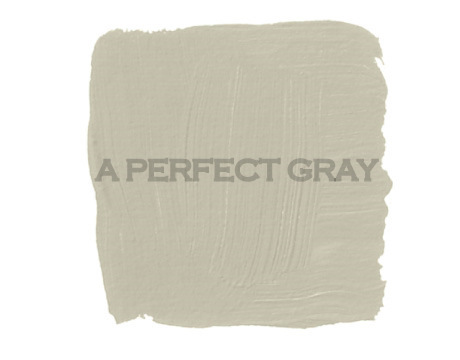 Love the Chelsea Gray too...we're still looking for a gray for our fireplace wall and this looks promising. Such a tough color isn't it?! You are awesome! I used all Farrow and Ball's colors. Hardwick white for the walls and for the door I used Railings. I also have some accents in the kitchen (around the windows) where I used Down Pipe. What a great idea! It will really pop against the white. And who better than you to have a gray door! Donna- Do it. It looks just dreamy! Yummy! Love the gray door in the sea of light and white. I think you picked out a GORGEOUS color dear! The grey door definitely makes the room, and I think is an excellent accent. Good luck! Now you have to do it with over 50 of us supporting you! Can't wait to see the After. Tia's painted door and new lighting make the room. LOVE that pop of blue-gray.